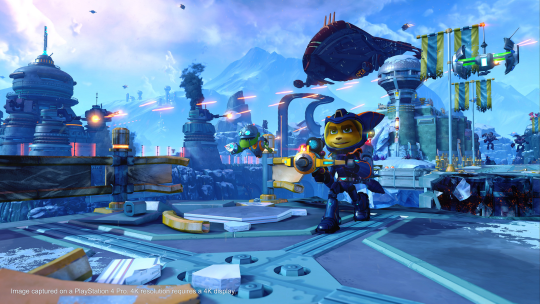 Ratchet and Clank PS4 made history by becoming the fastest best-selling Insomniac Game title of all time. Its clever combination of 4th-wall-breaking storylines and excellent platforming/shooting gameplay made for a true Pixar-like experience. And now, it's about to get even more beautiful. 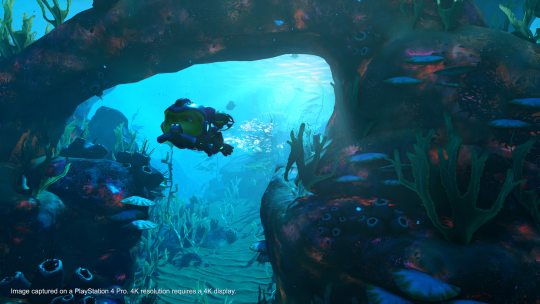 James Stevenson has announced on PS Blog that they will be rolling out a free software update to the game to support the additional power that PS4 Pro offers. The patch should come out very soon. 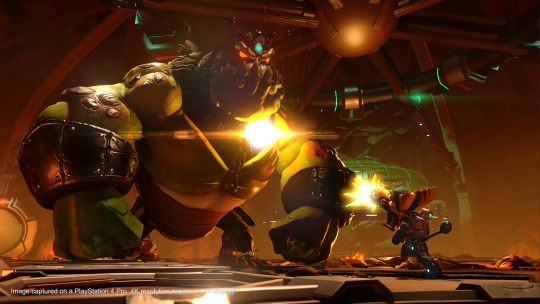 What this update will do is allow users with a 4k TV or PS4 Pro to experience Ratchet and Clank at a much higher resolution. Stevenson goes on to say: "The technique we’re using to get to those better resolutions is something we’re calling Temporal Injection. This allows us to not only hit a much higher resolution, but also to do it with jaggie-eliminating anti-aliasing as well. 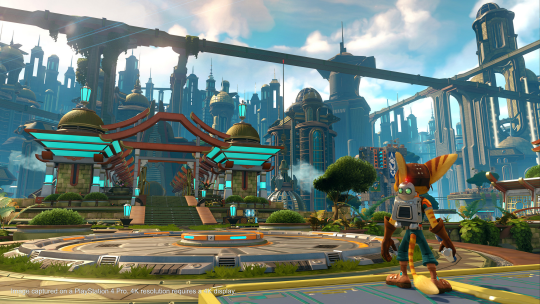 The extra resolution and HDR’s ability to display even more of the colorful Solana Galaxy should combine for the best image quality you’ve ever seen in a Ratchet & Clank game." 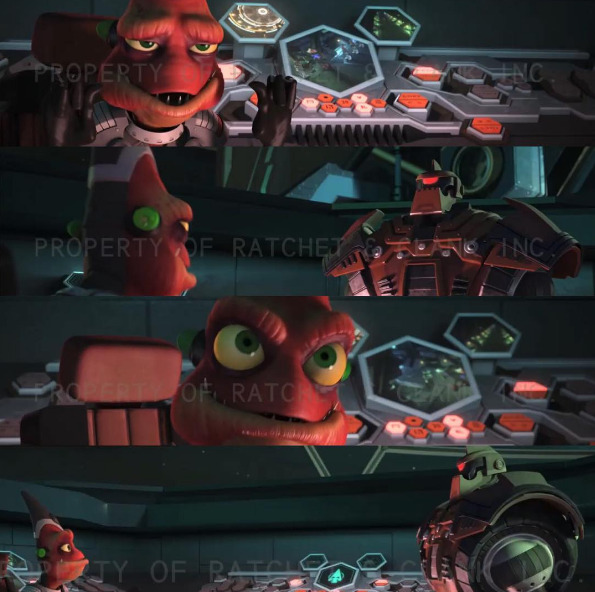 One of the four images they previewed shows Ratchet in his pilot near the Hall of Heroes. Strangely enough, the doors are open as well! It is unknown if this is part of the patch, or if this is just an debug version, but all four images were captured by the PS4 Pro. 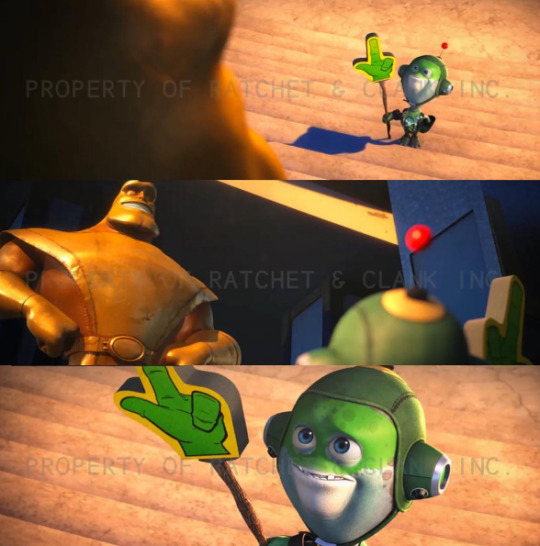 For those of you disappointed that the Ratchet and Clank Movie did not have any deleted scenes, Kevin Munroe has taken it upon himself to post deleted scenes ever now and then. 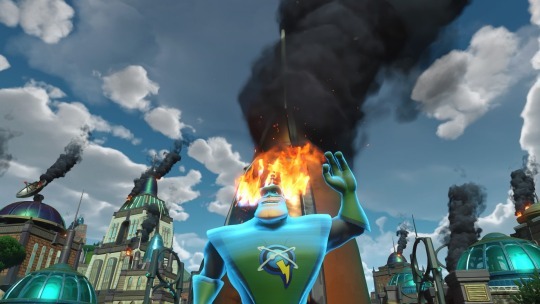 This one shows Ollie waiting for the real Captain Qwark outside the hall of heroes. This one shows a Blarg talking to a Warbot. Munroe went on to say: "And this is why animated movies are 90 minutes long." Kevin Munroe posted this one of Clank on David Kaye's birthday. 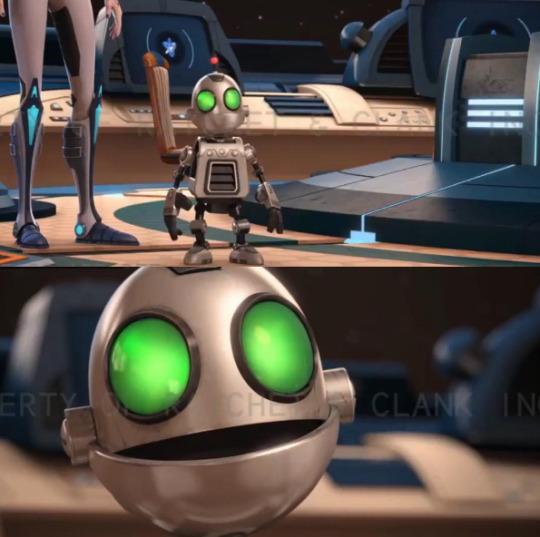 An animator on Vimeo posted a Ratchet and Clank Pre viz reel of the shots he worked on in the movie. Most of them have different voice actors for characters, and even a different character design for Elaris. That's all for now. 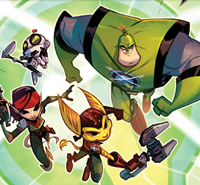 There is no word yet on a new Ratchet and Clank title, but James Stevenson did call this the "first entry for ps4," and as Shaun McCabe said: "Ratchet and Clank is a big world; we're not done making Ratchet and Clank games." So until then, stay tuned to Ratchet Galaxy. 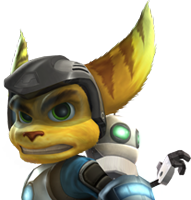 Who here is excited for Ratchet and Clank on the Ps4 Pro? Not planning to buy PS4 Pro, but I'm eager to see it become visually more beautiful! And still no 60 FPS Insomniac? "And still no 60 FPS Insomniac? #PerformanceMatters (in a whole new meaning)"
James Stevenson responded to so many about this: "The game was locked in 30 fps, so changing it would take an immense amount of time." At least it's not laggy! "James Stevenson responded to so many about this: "The game was locked in 30 fps, so changing it would take an immense amount of time." At least it's not laggy!"